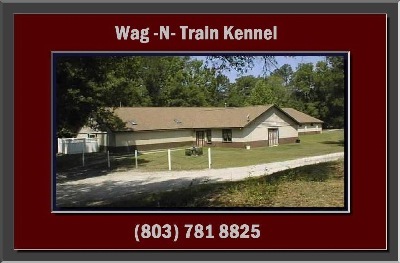 Wag -N- Train Kennel opened in January 1989, making us the oldest originally owned boarding facility in Columbia. The kennel sits on 4 acres just outside of Irmo. For over twenty five years we have provided the highest quality pet care for all of our guest. Our reputation for excellence in Boarding and Training is known in many Veterinary offices throughout the Columbia area. Over the years the facility has undergone many changes and upgrades. Today we offer a facility that is very modern and continues to be kept current as the pet care industry changes.